Originally built by Amenhotep I between 1525 BCE and 1504 BCE, later modified by Hatshepsut - 1479 BCE to 1458 BCE and finally destroyed by: Thutmose III - 1479 BCE to 1425 BCE. 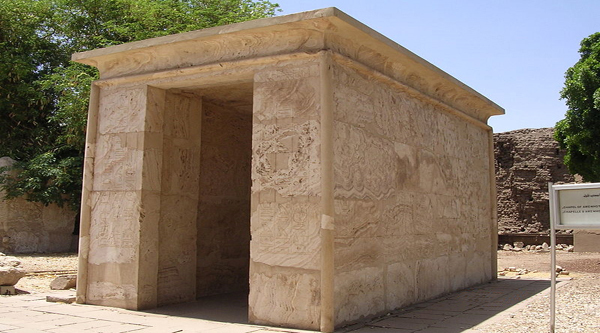 The chapel of Amenhotep I was a roofed rectangular structure made of large blocks of calcite with access doors on its short sides. The interior relief scenes are the oldest surviving depictions of the sacred bark of the statue of the god Amun-Ra of Karnak. Each of the chapel’s exterior sides were decorated with a single scene related to temple festivals. 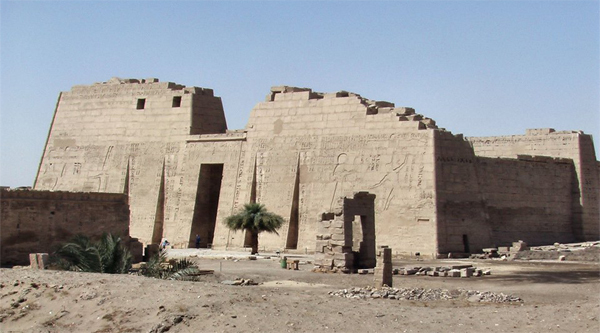 The blocks of this chapel for the sacred bark of Amen, built by King Amenhotep I, were found in the north-east corner of the 3rd Pylon between the year 1922 and 1927. And the chapel itself was reconstructed in this place in 1947. 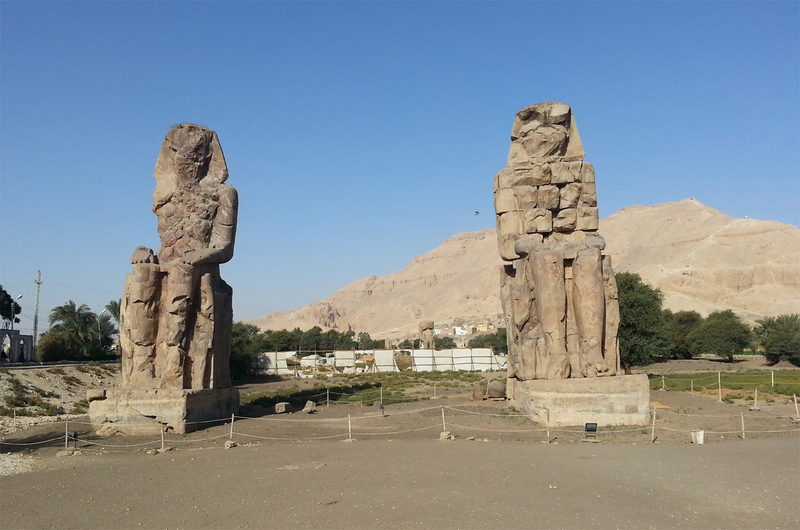 Its original position in the temple precinct is unknown, but probably it was originally at the site of the chapel of Thutmosis III on the east side of the sacred lake as the names of these two buildings are similar. 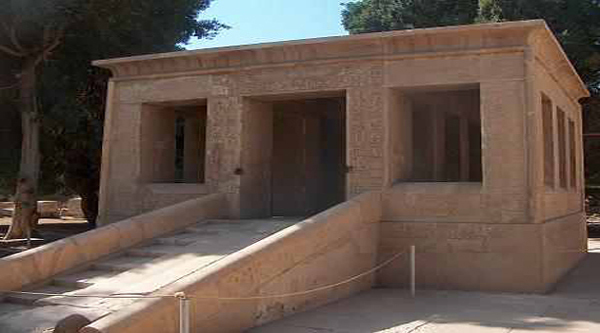 The chapel has been reconstructed in modern times in the “open air museum” at Karnak. The chapel is 3.6m across, 6.75m deep, and 4.5m high. Amenhotep I built the chapel as a ritual space to house the bark of Amun-Ra. Wooden doors on the shrine’s short ends could be closed to protect the sanctity of the god. 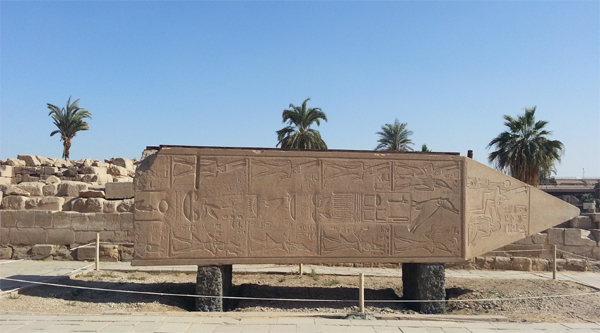 Left incomplete by Amenhotep I, the decoration on the chapel’s south wall was finished by Thutmose I. The chapel may have stood in the so-called “Middle Kingdom Court,” serving as the main bark shrine for the portable bark. 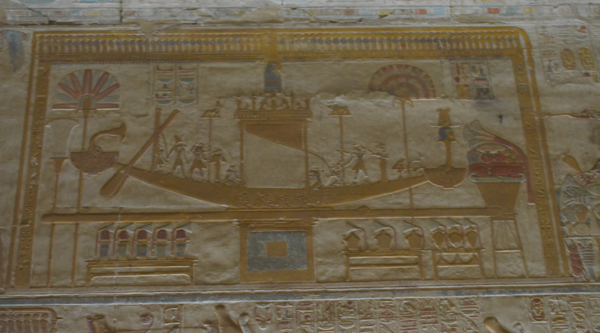 The decoration of the chapel was completed by Amenhotep I except on the south exterior which was finished by Thutmosis I. 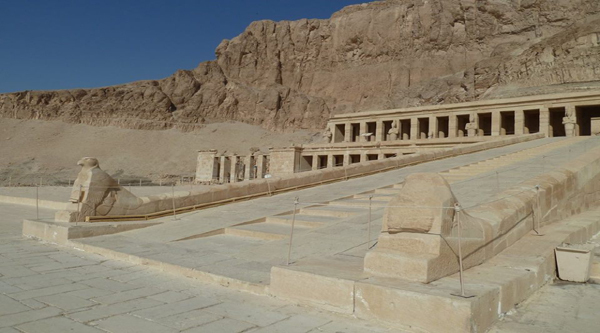 The chapel, or bark repository itself, is depicted on two blocks from the Red Chapel of Hatshepsut. Inscriptions on the chapel doorway refer to the materials used in its construction. The alabaster came from Hatnub in Middle Egypt, while the wood and bronze for the doors came from Asia. In the interior the reliefs depict the sacred bark of amen on the upper part of the walls. Below, the King presents offering to Amen. On the exterior scenes of the ritual for the god are shown. Particularly noticeable is the beautiful style in which the hieroglyphs and figures, particularly those of the king, are carved. The style is quite different from that known on limestone blocks of the same period. 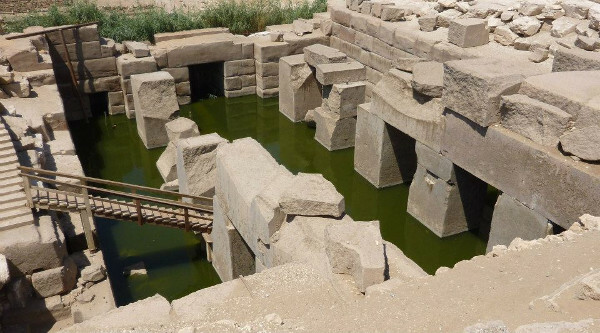 Thutmose III may have dismantled or moved the shrine, building an identical calcite chapel near the seventh pylon. 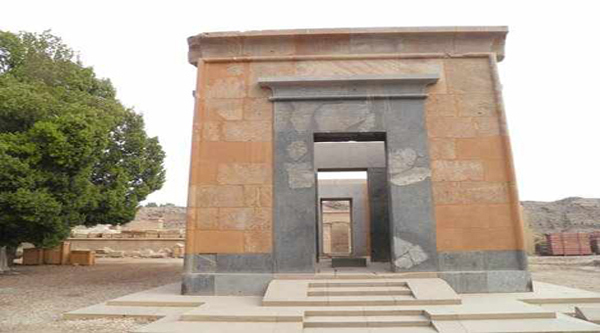 The king gave his new shrine the same name as the shrine of Amenhotep I. 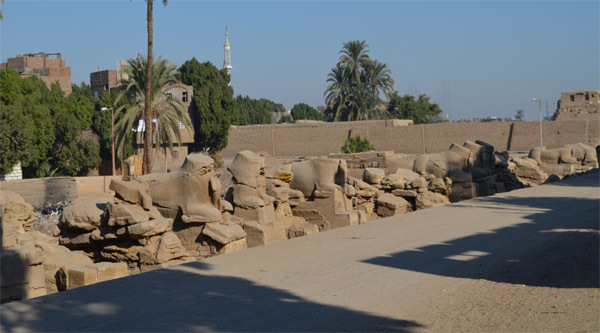 Where the Amenhotep I chapel was placed at this time is unknown. 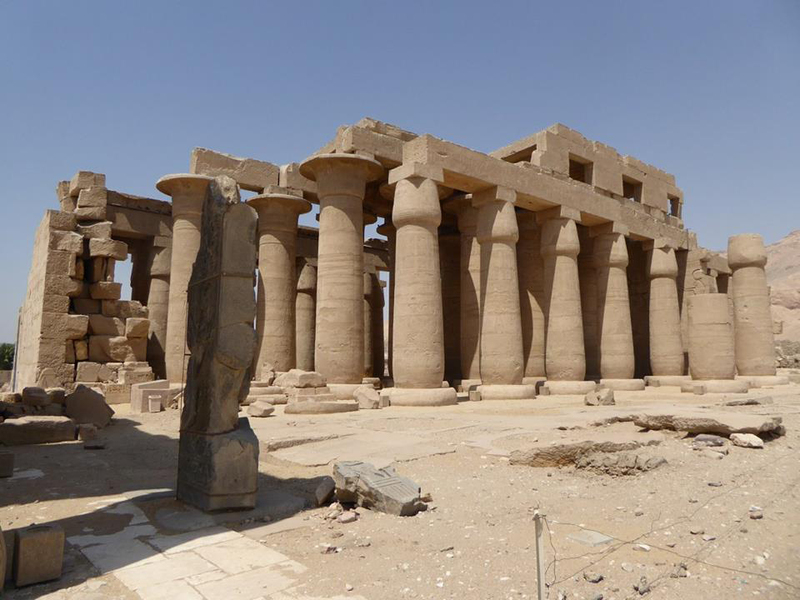 In the reign of Amenhotep III, the calcite chapel was used as fill in the king’s construction of the third pylon.